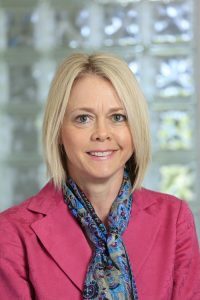 Debbie Parsons joined SFA in 2015 with a wealth of Human Resources experience, having served most recently as the Director of Human Resources for FBA and as the Vice President of Human Resources with the Georgia Aquarium. Debbie is very familiar with our industry as she previously was the HR Manager for IFG (Investors Financial Group.) Her professional credentials include a Bachelor of Arts from the University of North Carolina-Charlotte in Industrial Organizational Psychology, and she received her Professional in Human Resources (PHR) certification from the HR Certification Institute and the Certified Professional in HR (SHRM-CP) credential from the Society of Human Resources Management. Debbie is a member of the local and national chapters of SHRM and is involved in numerous charitable functions in management roles both domestic and international.